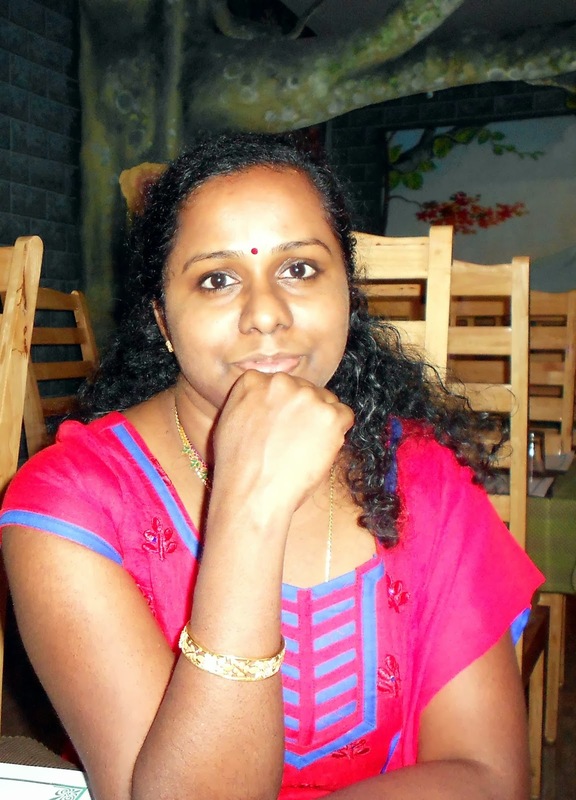 Preethi Venugopala is a Civil Engineer by education and a writer, avid blogger and artist by passion. She worked with the Dubai Metro Rail project till 2008 with Obayashi corporation, Japan. She quit in 2008 after becoming a mother and rediscovered her passion for writing and art. Now, she is a full-time writer and freelancer. 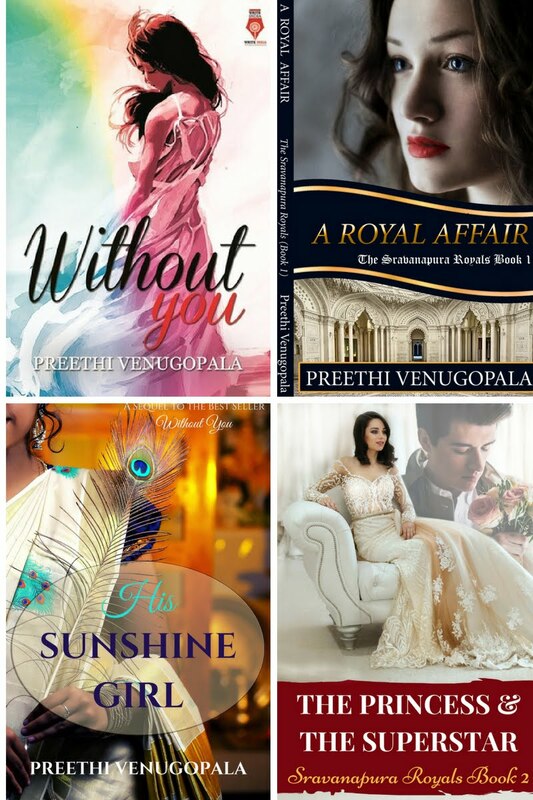 WITHOUT YOU: A #1 Amazon best seller novel, the paperback of which was published by Write India Publishers in 2015. The eBook was self-published by her on Amazon Kindle. It has received rave reviews from readers. It has so far 271 ratings on Goodreads with an average of 3.86 and 65 reviews with an average of 4.4 stars on Amazon India. It recently crossed a milestone of half a million pages read on Amazon Kindle Unlimited. A ROYAL AFFAIR: A #1 bestseller novella, published on November 1, 2017, as part of the pentopublsih2017 contest. The book is receiving good response from readers as indicated by ratings on Goodreads and Amazon India and by its popularity on Amazon bestseller lists in three major categories on Amazon’s Romance Best Seller lists. THE RUMOUR: A short love story short published by Juggernaut books in May 2017, was picked as the short story of the week and is receiving rave reviews from readers. It is categorized among the blockbuster shorts on Juggernaut. A collection of nine more of her love stories is scheduled to be published on the app in February 2018. 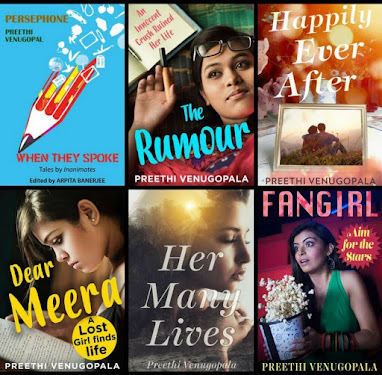 6 DEGREES: Preethi was also part of the winning team of ‘Game of Blogs’, a novel writing competition judged by top Indian authors like Ashwin Sanghi, Kiran Manral, Meghna Pant etc. where they wrote a novella in three weeks. She was the plotter and editor of the team. Their novella, ‘The Awakening’ is now compiled in a book called 6Degrees published by Leadstart Publishing along with the other two winning novellas. ANTHOLOGIES: Her short stories have appeared in four anthologies till now. The Second Life by Write India, A Little Chorus of Love by AuthorsInk, Blank Space by Propel Steps and When They Spoke by Readomania. Another story is getting published shortly in an anthology being compiled by Shinie Antony, the editor of Chetan Bhagat, being published by Atta Galatta. 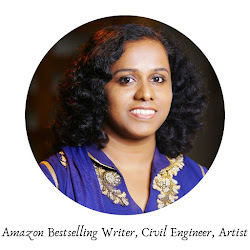 CHILDREN’S BOOKS: She has published three eBooks for kids on Amazon kindle. She has also won many blogging competitions and has contributed to online magazines like Womensweb.in, The World of Moms, Writer’s Ezine etc. She has been nominated for blogging awards in the Creative Writing and Lifestyle category on Indiblogger in 2017. A very impressive profile of a writer / artist whose writing I enjoy reading! Thank you Rajeev Moothedath for the kind words. I Have An Online Art Gallery called #CHHAYANKANArtGallery(CAG) on FB and similar Account on Twitter & Instagram..Where Can I Connect With You & How to check out all Your Sketches Under Single Roof As I would like to Share & Showcase Your Artworks as I have regular demand for South Indian Celebrity Sketches and Drawings.You can email Me On dalip.treasurefilms@yahoo.co.in or follow Me on FB, Twitter & IG. Please Share Your Artpage links at earliest. Hi preethi..so over whelmed by the story of kathivanoor veeran. Can i still find the ancestoral remainings like his birth place/house or the predecessors and the so called place kathivanoor. Its a great wish for me to travel along the path the god had taken from mangad unto kathivanoor. Please help me more infos. Thank you. Google can help you.I don't know more details other than the story. Glad that you loved the story.